We are engaged in providing tour packages for domestic & international destinations. Apart from this, we also offer car rental, hotel reservation & star cruise services. Planning a trip is not easy our travel experts are just waiting for you. - Dreamland Travel, established in 2006, is one of the India leading Travel Agency. We are engaged in providing Family Holidays to our clients. In this we give the pleasure of performing various Activities to our travelers by which they feel very refreshing and adventurous. Pickup from Srinagar airport and transfer to Houseboat / Hotel. Evening enjoy shikara ride tour which will cover Char chinar, Floating Gardens. and back to Houseboat/ Hotel Dinner & Overnight stay. - Meet upon arrival and transfer to Deluxe Houseboats/HOTEL. Rest of the day free for individual activities. Dinner overnight Houseboats / Hotel. Family generally means husband, wife and kids. Their relatives are also considered as part of the family. Newly married couples who visit Kerala to enjoy their honeymoon are also 'family' in our concept and taken for family tour with special price and discounts. We have excellent family tour packages. We offer you a seamless experience of Kerala by using our unique tour packages and services. Family Packages - Get discount on Family packages at MP TOURS.We offer customized Tour & Family Packages. 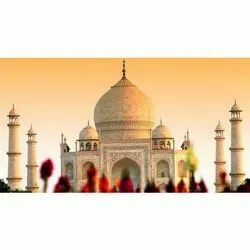 Plan a travel to India and its various tourist attractions with Family packages. Explore exciting Indian Tourism with cheap vacation packages. TRAVEL AS A FAMILY: We operate from two bases; New Delhi & Leh (Ladakh). Besides, we are a small family run unit so you deal with the very same people from the time of booking till the end of the tour. To keep everyone in the family happy is quite a task. But at Prism, our immaculate planning and timely service is famous for arranging picture-perfect packages for the entire family. - Day 01: Puri - Arrival Puri/Bhubaneswar, meet our representative at railway station/airport, transfer to hotel as the beach. During afternoon visit Lord Jagannath Temple. Well aware of the desires and requirements of families, as they are eager to go on different tours, we bring forth this assortment of Family Tour Packages. It is worked out well by our experts and nicely planned. Besides, it can be customized as per the clients’ requirements. Thus, it can prove ideal for a family to go on a trip with their choice of options. - Domestic Jeep Tours – Our 4×4 Jeep tours help you experience India as a group. Sit back and relax as our experienced tour guides and drivers take you through the most difficult terrains with ease. - About the Tour Give your family and children an exquisite holiday Week (6 Nights / 7 Days) in Andaman Nicobar Islands. - Anyone who has ever traveled with a 15 year old in tow knows a teen can make or break the vaction for the entire family, "If the teens are happy, everybosy is happy, and a great big, fat vice vera."